I&apos;d passed the corner of Clark and North countless times without noticing--really noticing--the Diamond Bank building on the intersection&apos;s northwest corner. Built in 1961 as North Federal Savings & Loan, the two-story modernist building is visually overshadowed by the huge, Byzantine-styled Moody Church just to the north. 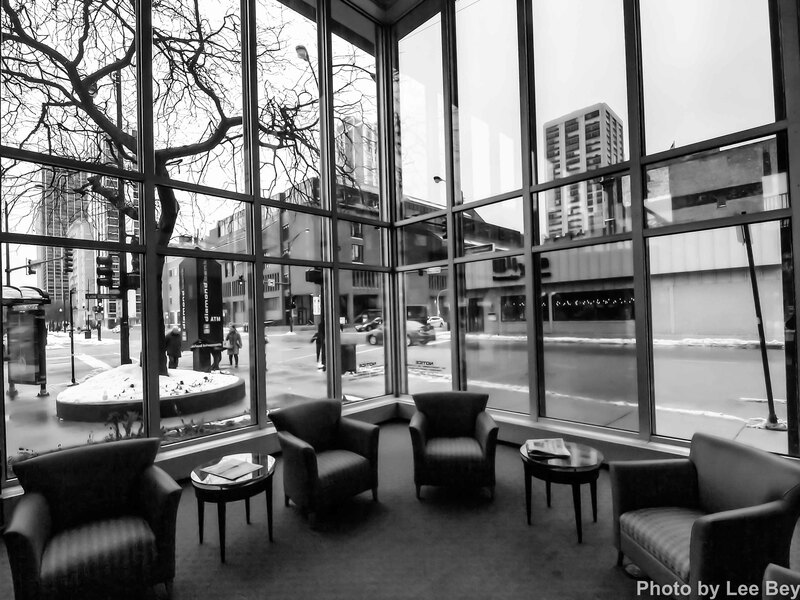 But as I discovered last week, the glassy, transparent and well-kept bank building is worth a look--inside and out. The building was designed by Naess & Murphy on the heels of the firm&apos;s better-known works such the Prudential Building and the former Sun-Times Building, 401 N. Wabash. While those buildings read as updated pre-World War II structures, North Federal was full-on modernism,with a glass curtain wall wrapping around the long rectangular structure and exposed exterior columns creating an unobstructed banking floor inside. By the 1960s, Naess & Murphy would become C.F. 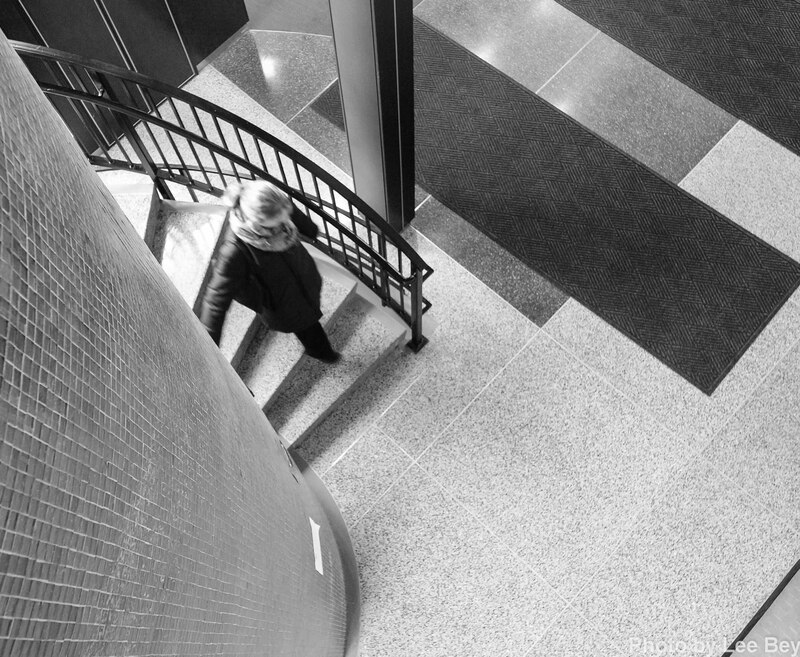 Murphy Associates, a modernist powerhouse with work that includes the stellar CNA Building at Jackson and Wabash, McCormick Place&apos;s Lakeside Center, the Daley Center and more. North Federal is a small, but noteworthy step in the firm&apos;s evolution. The building&apos;s design phase began in 1959, according to the city&apos;s landmark commission&apos;s report on the bank. The report also said the look was influenced by Manhattan&apos;s Manufacturers Trust bank building, designed by Gordon Bunshaft of SOM. Agreed, but Bunshaft&apos;s columns are inside the curtain wall, allowing the box to read a bit purer. A staircase wraps around an exposed elevator core--that is covered in gold ceramic tile. That terrazo floor is pretty cool, too. 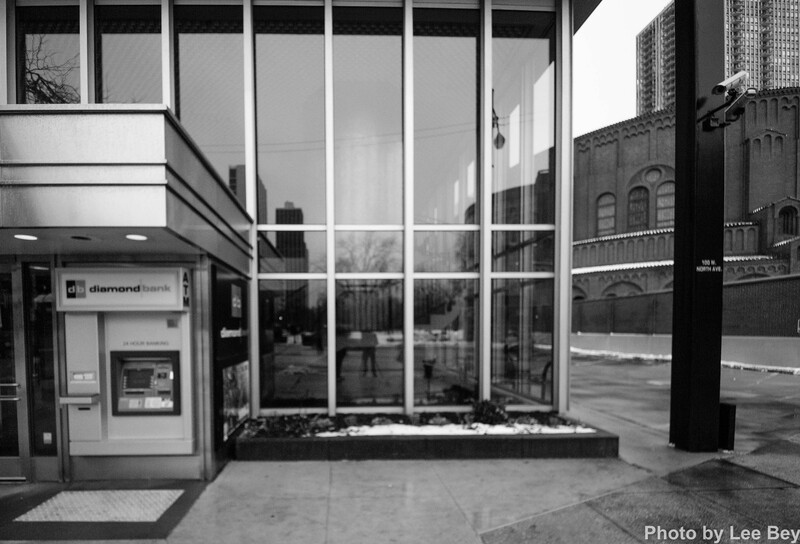 Diamond Bank had been considered for landmark status a few years ago as part of a designation honoring neighborhood bank buildings. 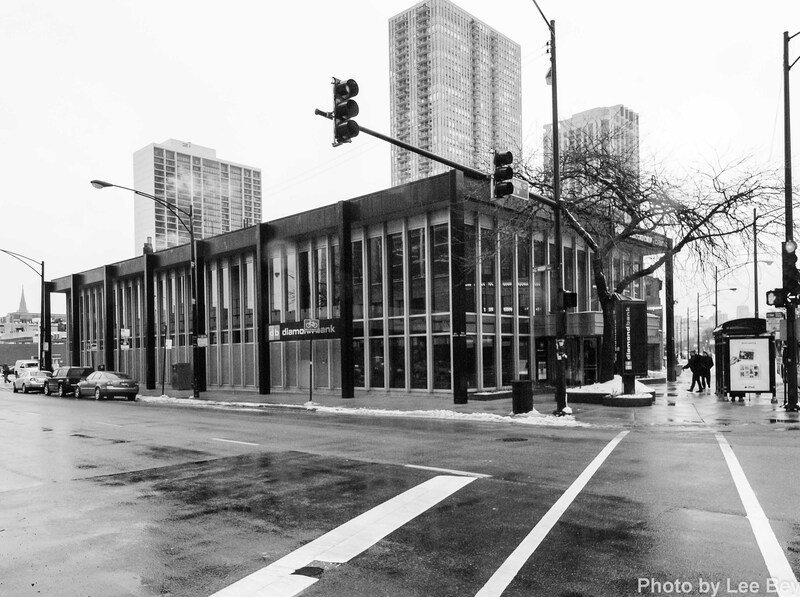 But the building was denied because it was the only midcentury building in the proposed designation. 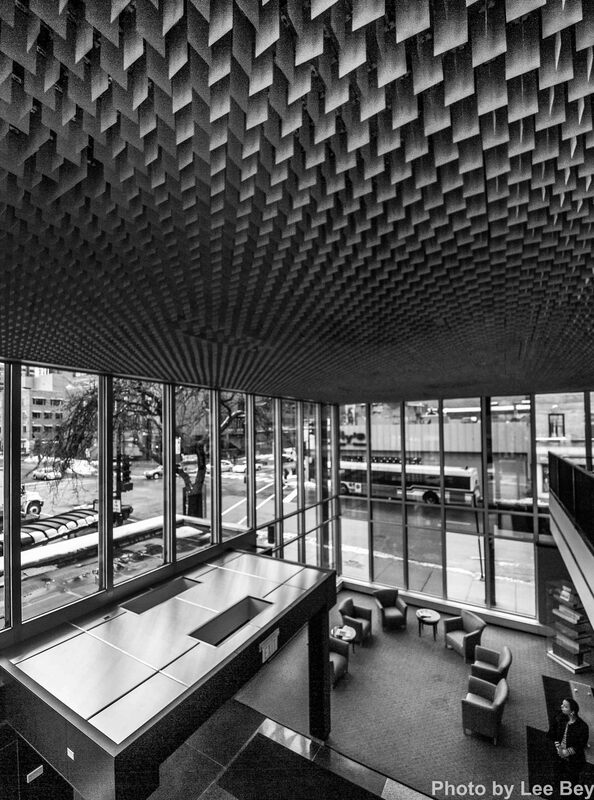 Architect Mits Otsuji designed the bank while at Naess & Murphy, according to Vince Michael, architecture historian and executive director of the Global Heritage Fund. As for C.F. Murphy, the firm became Murphy/Jahn and now, Jahn.